EDGEWOOD, NEW YORK – March, 2016 – ILVE Appliances will once again be exhibiting at the 15th annual Architectural Digest Design Show from March 17-20 in New York City. The brand will be showcasing their top trends and award winning designs to approximately 40,000 guests and design enthusiasts. Below is a preview of the latest innovative collections that will be on display at the ILVE booth #279 this year. The Custom Color Program is available for both ILVE collections, the Majestic and Nostalgie. Both series are available in standard colors (7 for Majestic and 8 for Nostalgie), and with the new Custom Color Program over 220 colors are available resulting in more personalized options than ever before. The program was named an Interior Design Magazine Best of Year Award Honoree. The RAL colors that will be showcased at the ILVE booth include Quartz Grey, Light Green, Mahogany Brown and Traffic Red. One of the most up-and-coming trends on the interior design scene today is the use of mixed metals in appliances and home décor. The mixed metal trend has seen increasing popularity over the last few months, and is expected to make an even bigger impact on the design world in the 2016 year. ILVE has customized a 36” Mahogany Brown ILVE Majestic Range with chrome and brass trim to showcase the beautiful new trend. Voted Interiors & Sources Readers’ Choice Award Winner in the Best of Kitchen and Bath Category, ILVE’s Majestic line of ranges is available in both dual fuel and gas (30” & 36” only.) 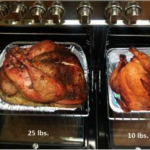 The ranges are offered in five standard American sizes including 60”, 48”, 40”, 36”& 30” with both single and double oven options available. The line is fully customizable with seven standard colors, 213 Classic Colors, three trim options and four leg options allowing for a wide range of choices for personalization. Additionally, ILVE Majestic Ranges are equipped with green energy features such as an EU “A” green energy rating, triple-pane glass doors for better heat insulation, and an 8-minute electric oven preheat. ILVE will be featuring all five sizes at the show in a variety of color and trim options. The Techno Collection incorporates all of the same technical features found in the original Majestic series and is available in the same sizes and colors. Features exclusive to the Techno collection include techno knobs, a tubular style handle, tubular legs, trim-less doors and panel and an optional upper handrail for modern flair. ILVE will be showcasing a 40”, 36” and 30” Techno range in both standard and RAL colors. 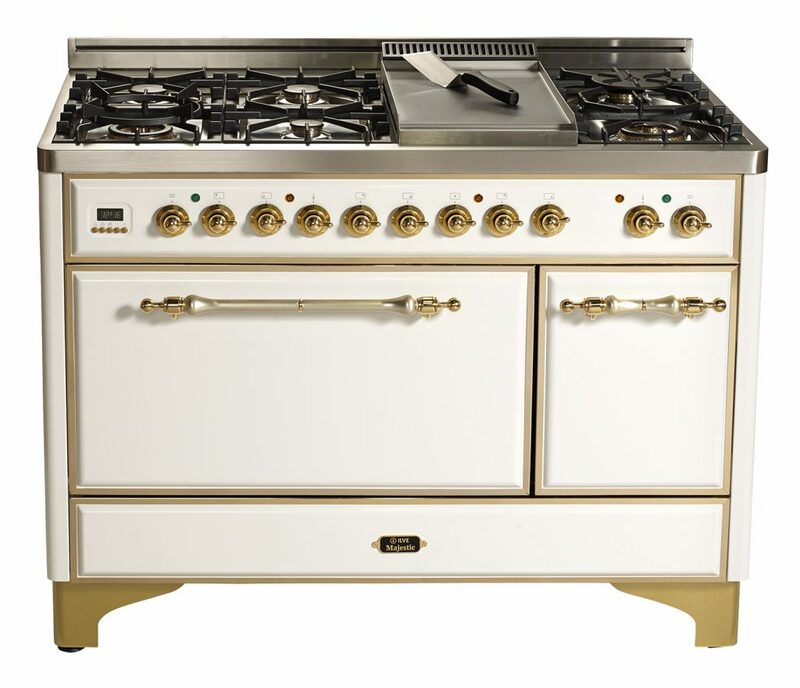 ILVE’s Nostalgie line of ranges is available in a powerful all gas configuration. The ranges are offered in three standard American sizes including a compact 24”, 30” and 36” all with a 24” depth. The line is customizable with eight standard colors and 213 Classic RAL Colors. 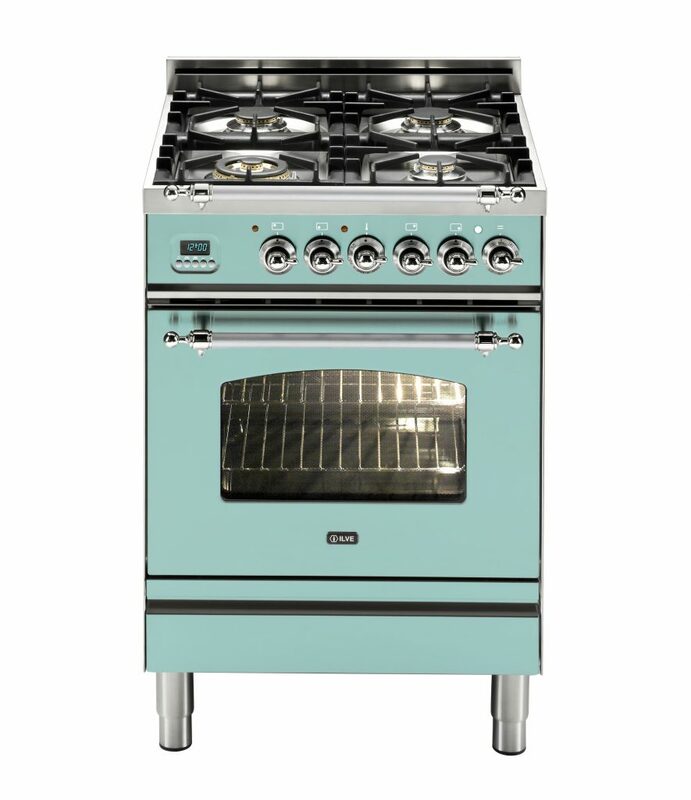 The range comes complete with a upper handrail, digital clock & timer, pre-heat indicator, hearth shaped window, tubular legs and a full width storage/heating drawer. ILVE will be featuring the compact 24” range in Antique White with a bronze trim. 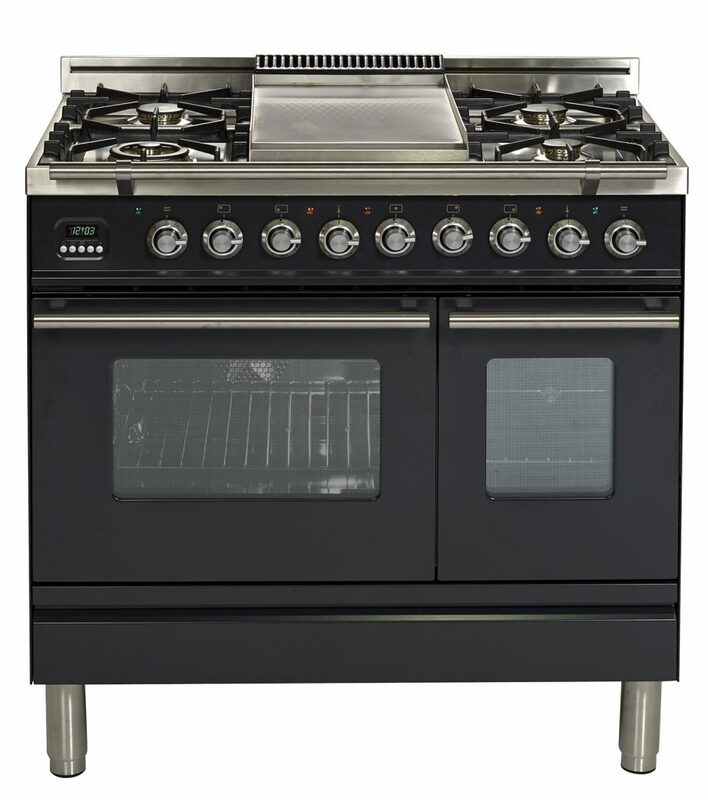 The Professional Series 30” ILVE Induction Range offers the fastest and most responsive cooking technology available with no power sharing, allowing for the full strength of each element to be used simultaneously. 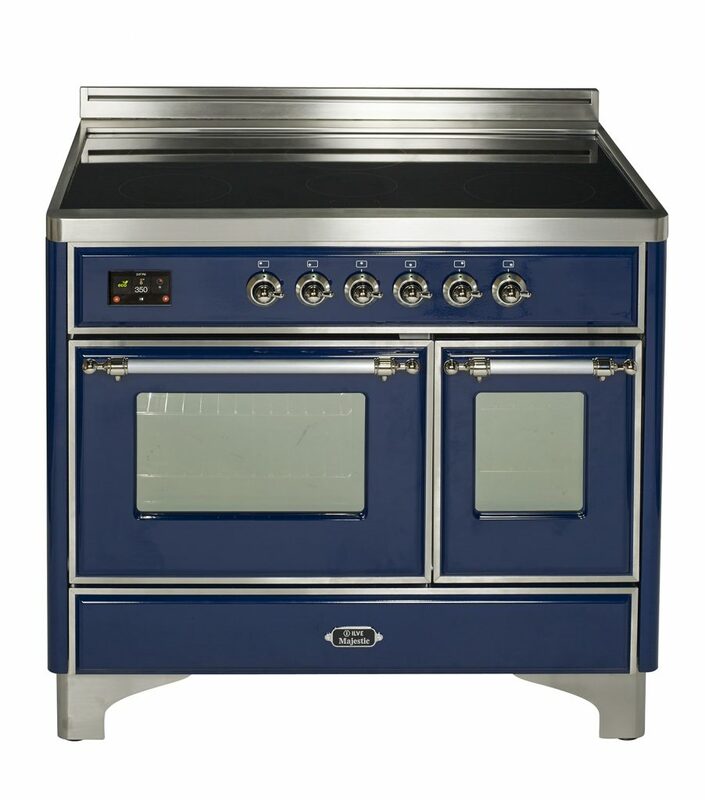 The range is equipped with four zones of heat source, a rotisserie, full width warming drawer, pot sensor technology power boost burners, and a multifunctional convection oven. The 30” Stainless Steel model will be on display at the ILVE booth. ILVE Gas cooktops come equipped with the exclusive griddle, which allows for endless food prep options. 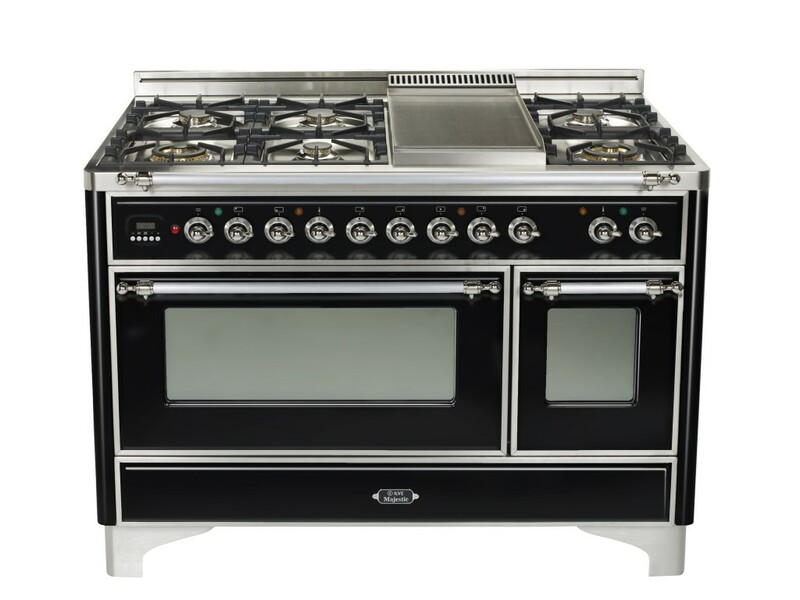 Each cooktop includes individual precision burner controls, flame failure safety cutout, one-touch electronic ignition, triple ring burner, cast iron heavy-duty grates, matte black burner caps and stainless steel knobs. 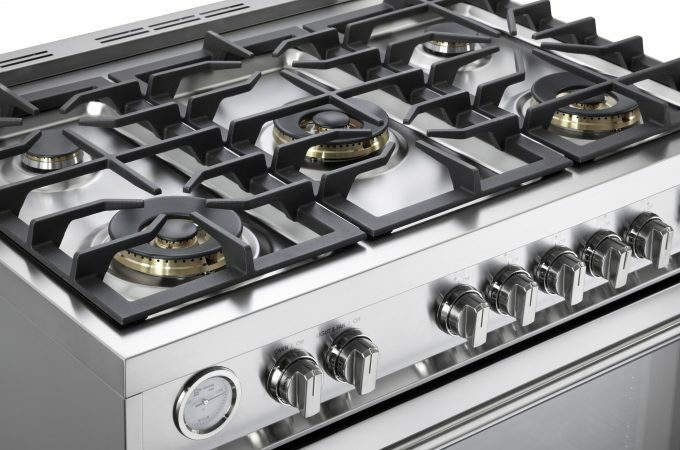 The cooktop collection includes 6 exclusive models and is available in 15”, 36” and 48” sizes. The 15” griddle, 36” cooktop, and 48” pro-style cooktop will be on display at the ILVE booth in a three-tier display stand. ILVE Ventilation Hoods pair perfectly with any ILVE range. The hoods featured 2 infrared heat lamps and a quiet energy-saving four-speed fan control. All hoods are wall mounted with halogen lamps with adjustable light intensity, an anti-grease filter in anodized aluminum and a light indicator for filter maintenance. The hoods are available in all standard and RAL colors. A 40” RAL Burgundy hood will be on display at the ILVE booth. 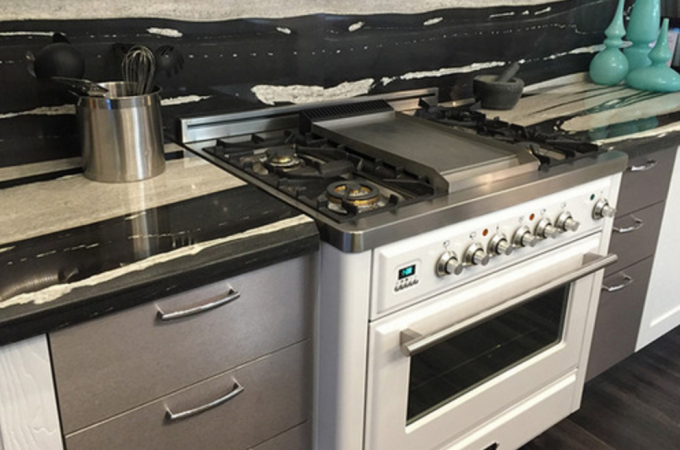 About ILVE: Founded in 1952, ILVE is steadfastly committed to exceptional handcrafted quality in residential cooking appliances including ranges, cooktops, ventilation and accessories. Their state-of-the-art manufacturing facility, located near historic Venice, Italy represents more than 50 years of tradition, continuous technological research and relentless innovation. Bringing a unique brand of Italian craftsmanship to the devoted chef, ILVE has become known as the brand for people who are passionate about cooking and fine kitchen appliances. 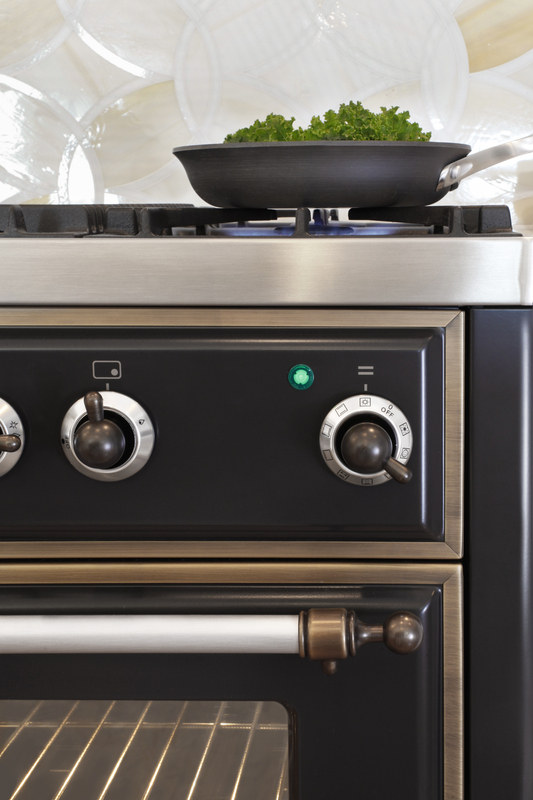 Although crafted in Italy, each appliance is made to U.S. market specifications. EuroChef USA is the exclusive importer of the ILVE brand for the U.S. and distributes the collection through an authorized network of retailers and distributors throughout the country.